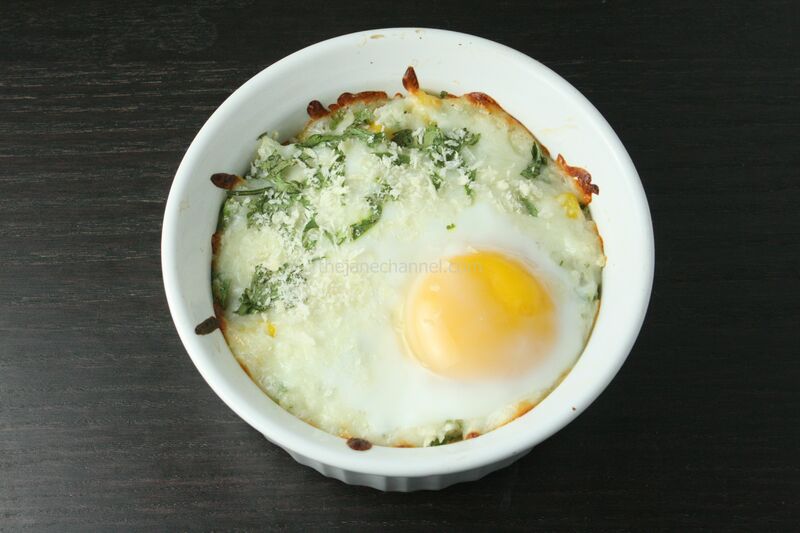 Using the same mixture from Crispy Potato Bites as the base and with inspiration after reading Zucchini mozzarella baked egg, I created this breakfast dish. It has a filling of mashed potato and is topped with a baked egg. Bread crumbs provide a slight crunch and the cilantro some color and extra flavor. It may seem that a baking casserole is too much work for the morning rush, but using pre-cooked ingredients or making it the night before (except the baking part), you’ll only need 12 minutes in the oven for this quick and nutritious breakfast. Mash the potatoes and mix with corn, cilantro, corn starch, salt and pepper. Pour the mixture into two oven-safe 16 oz round dishes. 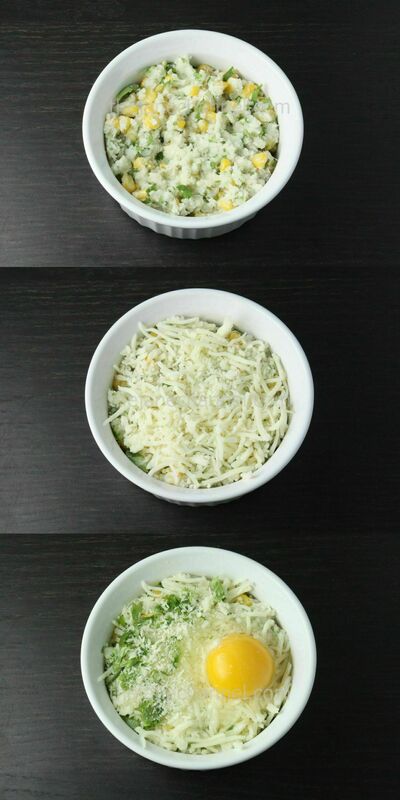 Add 1/2 cup of mozzarella into each dish. Carefully crack an egg into each one, making sure to keep the yolk intact. Sprinkle 1/2 teaspoon of panko and 1/2 teaspoon cilantro on top. Bake for about 15 minutes at 450 degree or until the whites are just set. Wonderful! It looks so simple to make too.